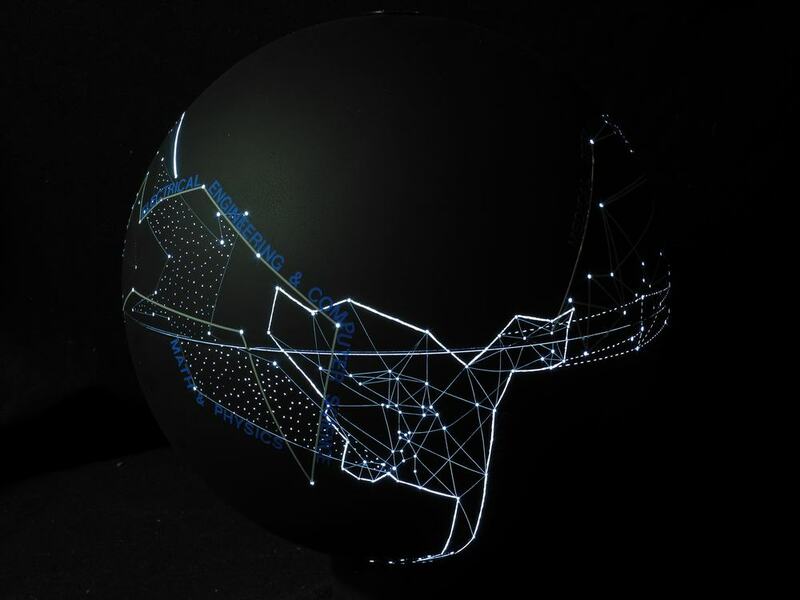 A three-dimensional rendering of scientific knowledge space is projected on a sphere. 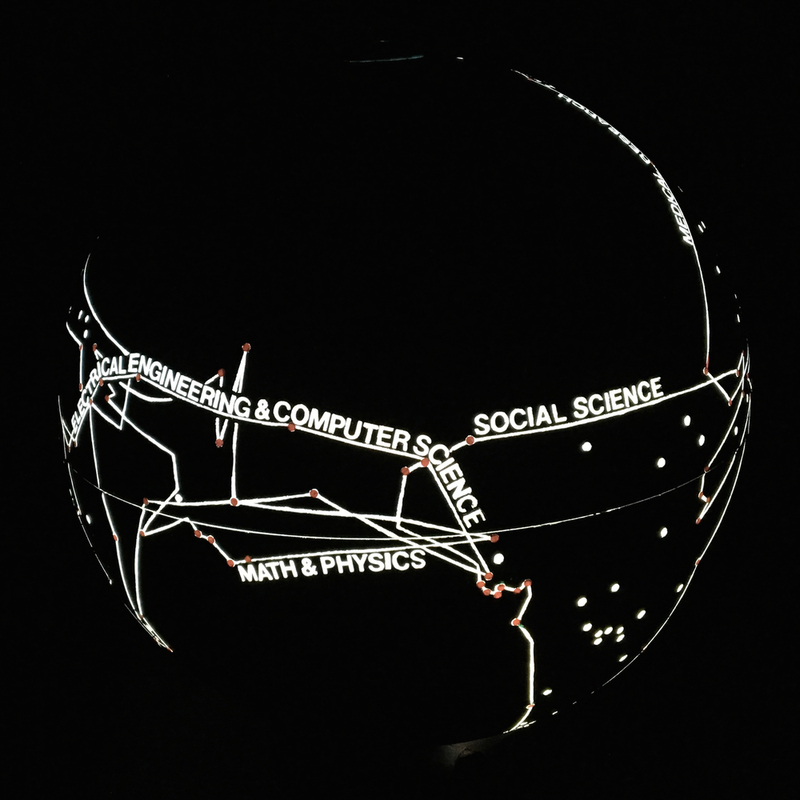 The names of the major fields of science are noted along their border. 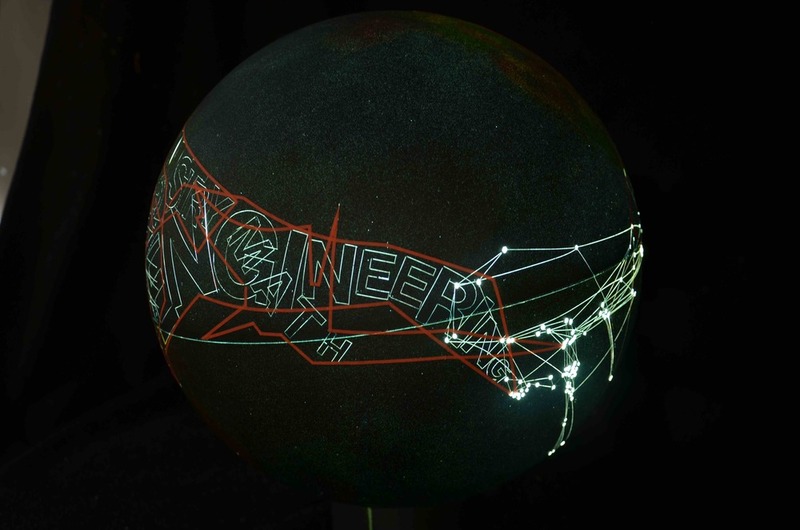 Scientometry quantifies scientific knowledge through network analysis of co-citation networks and is thus able to show relative flows of inquiry and interdependence within the world of science. 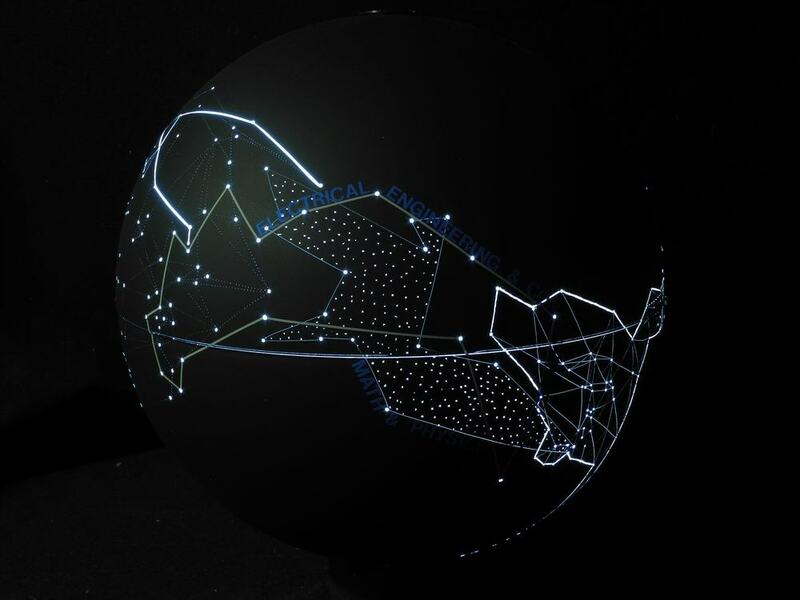 This representation on a sphere is one of several prototypes of a tangible sculpture of the "Shape of Science," based on the research of Dr. Richard Klavens and Dr. Kevin Boyack, who through spatial and quantifiable means, identify the connectivities and relative flows of inquiry within the world of science. 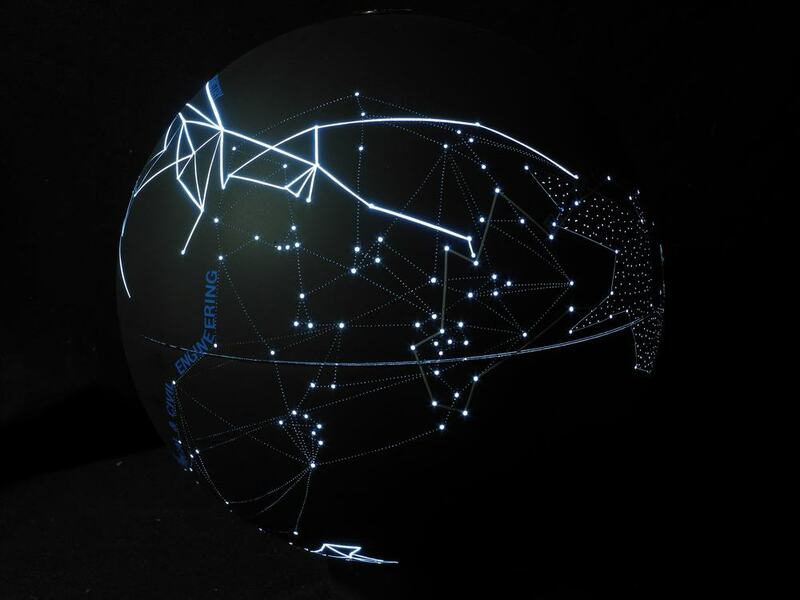 Version 5, similar to Version 1 and 3, identifies each of the 13 fields of science in a different way, stylistically. The names of the fields are then written along their border. 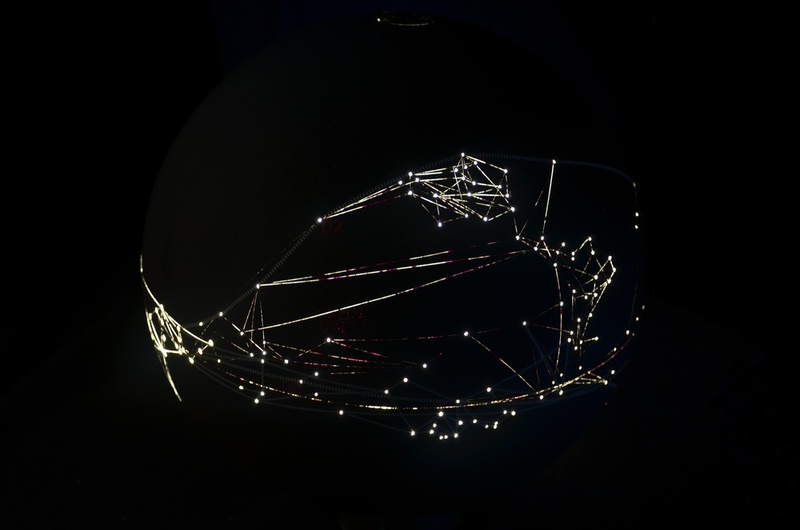 This representation of the space that science would occupy when mapped out on a sphere is one of several prototypes for a tangible sculpture titled "Shape of Science." 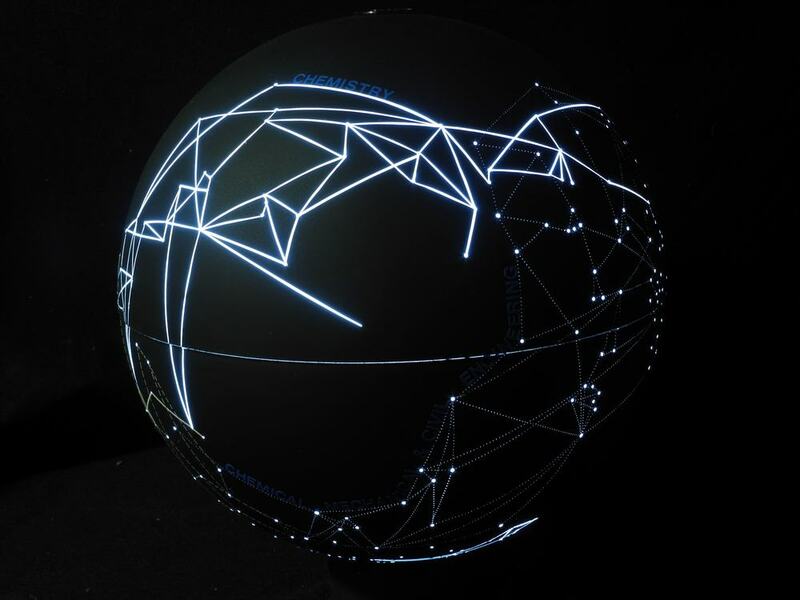 This concept of a 3-dimensional shape is based on Richard Klavans’ and Kevin Boyack’s research, identifying the connectivities and relative flows of inquiry within the world of science through co-citation networks and network analysis. 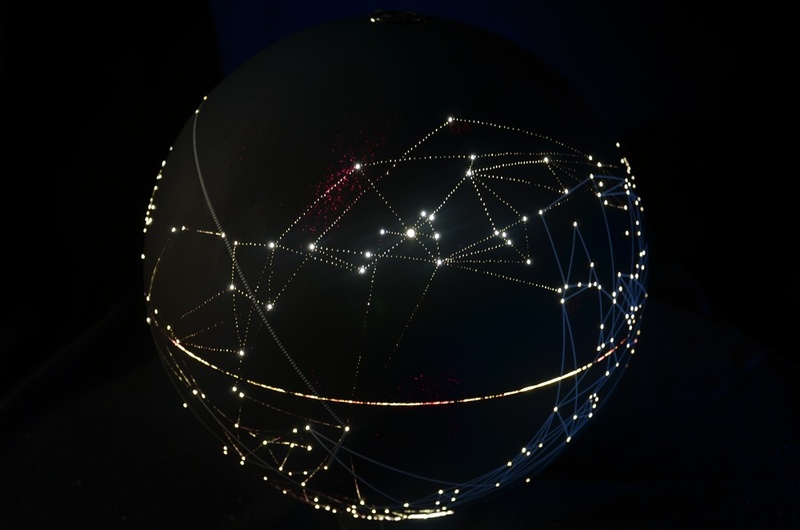 This representation on a sphere is one of several prototypes of a tangible sculpture of the "Shape of Science," based on the research of Dr. Richard Klavens and Dr. Kevin Boyack, who through spatial and quantifiable means, identify the connectivities and relative flows of inquiry within the world of science. 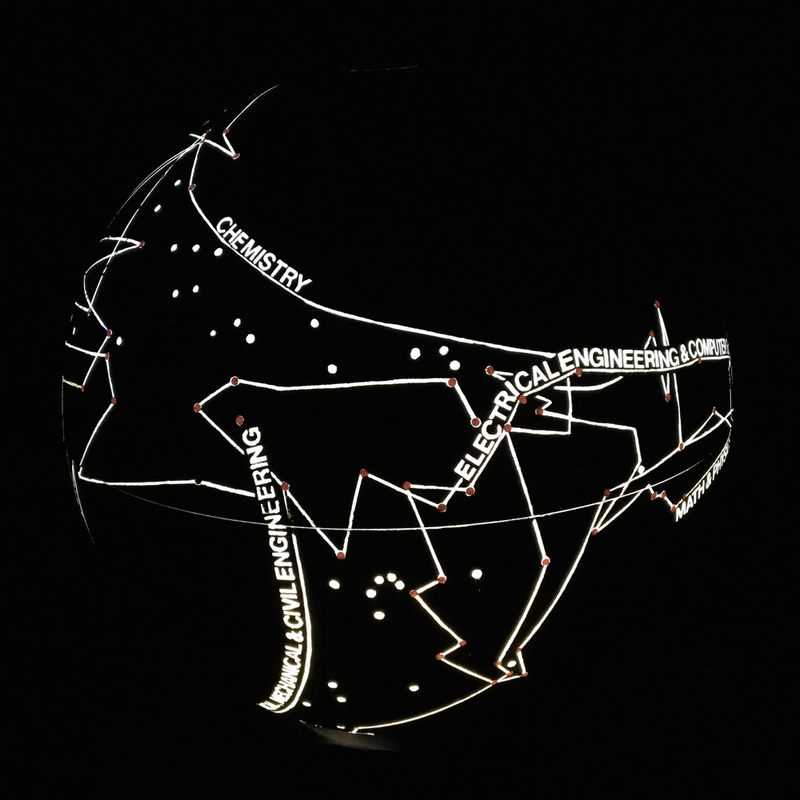 Version 2 outlines each of the 13 fields of science in red and fills its corresponding area with its name. 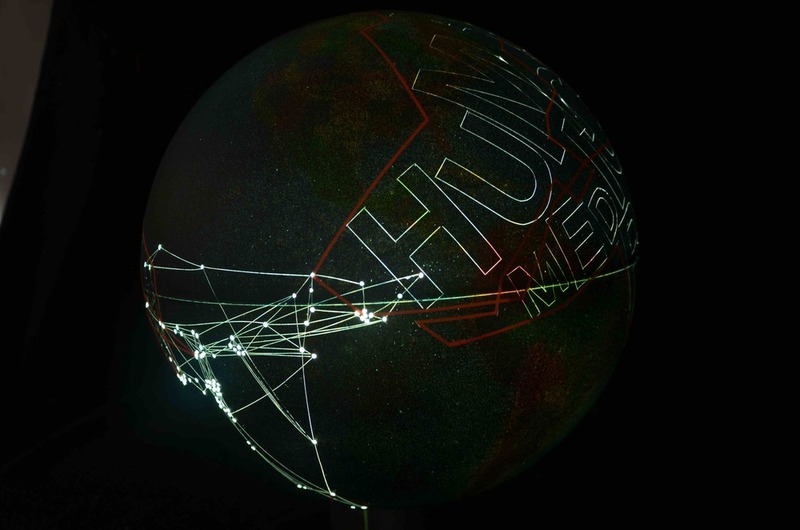 The interplay among letters furthers the inter-connectedness of each field of science. 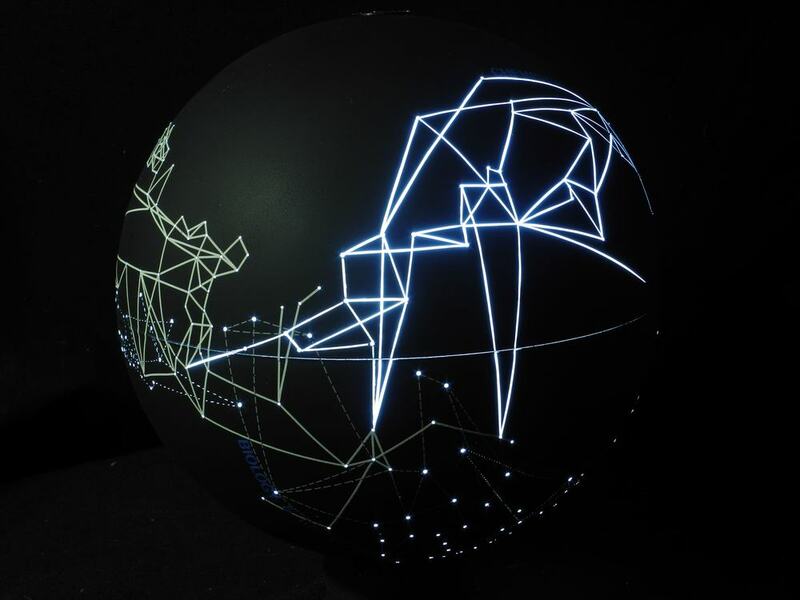 This representation on a sphere is one of several prototypes of a tangible sculpture of the "Shape of Science," based on the research of Dr. Richard Klavens and Dr. Kevin Boyack, who through spatial and quantifiable means, identify the connectivities and relative flows of inquiry within the world of science. Version 1 identifies the 13 fields of science and their common nodes; stylizing each field differently, denoting it with a red number.